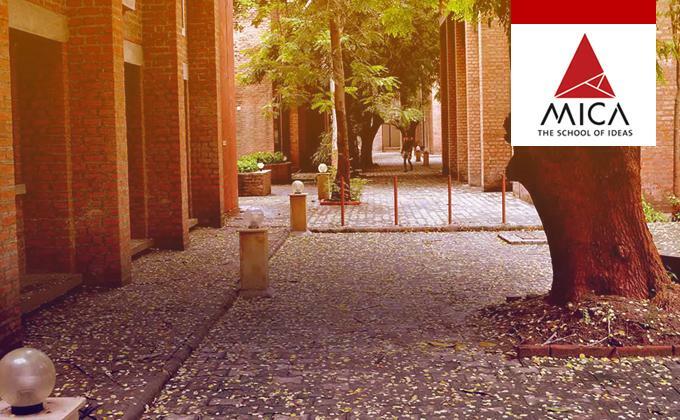 MICA, Ahmedabad, India’s premier institute for Strategic Marketing and Communication hosted the Annual Awards for Academic Excellence for the 24th batch of its flagship PGDM-Communications Program and the 28th Batch of Crafting Creative Communication (CCC) Course. The parents of the students witnessed the Ceremony at the vibrant and unconventional Mani Ayer Auditorium at MICA Campus, along with the MICA President & Director, Dean, Faculty & Staff. Mr. Jai Maroo, Director, Shemaroo Entertainment Pvt Ltd., the Chief Guest of the event greeted the students with words of encouragement and wisdom in a video address. He stressed on the importance of being a lifelong learner, citing example of the founder of Shemaroo Entertainment Pvt. Ltd., who is himself an ardent practitioner of this wisdom. He concluded by invoking the need to be curious, observant of people and to not stop learning even after graduation. In his address, Dr. Shailendra Raj Mehta, President & Director, MICA, laid stress and importance on the virtue of truthfulness, quoting Pindar, one of the nine great Greek lyrical poets, “Forge thy tongue on an anvil of truth and what flies up, though it be but a spark will have weight”. Dr. Preeti Shroff, Dean, MICA, too emphasized on the importance of being a lifelong learner and having a strong character to go with it, quoting Gandhi, “Education which does not mold character is useless”. Awardees from a total of 23 different categories were awarded Certificates of merit and Prizes across the PGDM C and CCC courses. Some notable awards included the Divya Bhaskar Scholarship of Academic Excellence in Media & Entertainment Management Specialization, Satpal Singh Virdi Memorial Cash award for the best All-Round performance of the graduating batch, MICA President's Award for Academic Excellence (PGDM-C) and the MICA President's Award for Campaign of the year (CCC). Another highlight this year was introduction of a new Award for the course in Marketing & Branding of Rural and Regional Products, taught in the 2nd Year of PGDM-C. The students were required to work in Groups on marketing and branding strategies for specific regional and rural products. These awards were sponsored by Mr Siva Devi Reddy, the founder of GoCoop – the Social Marketplace.